A precious experience and quality time that I did in this full pressure place. A ready mix concrete is one of a material that is used for construction. This is formed by the combination of aggregate, silt, sand, cement and water. This material is well known cause of it can stand in a high compression and is easy to be formed. In the last 3 months, I worked in one of a Ready mix concrete (RMC) company and maybe Ill give a little review on the experience of work and how I was so grateful to this awesome team. This is a place where we can meet awesome people with strong mental and high loyalty. People that are willing to work in a 24 hours’ time. The corporate team. Mr. PH has given me his project, so I handle it for a moment, and this a very big challenge for me. By handling his project with a total of more than 22 Project, it really made me had a bad sleep. Well RMC is a product that is commonly used and poured in the middle of night. Why? Cause it can avoid the traffic while making the setting time well and properly. The condition of the temperature at night may effect it too. These are some of the technical problems. So you wanna work in the RMC world? Just prepare yourself to be awaken in some of your nights. Lets get in to some of this RMC team. Where I learn many things from them. They are people that is willing to teach the others and I think that all of them are kind person. No more time to think of bad attitude etc. The Rush in this atmosphere of company makes them focus on their job. Good enough and comfy to make friends here. Firstly, Meet my Boss, Mrs. FW. She’s a very strong women and has many experience in promoting and making tender to some of big contractors. 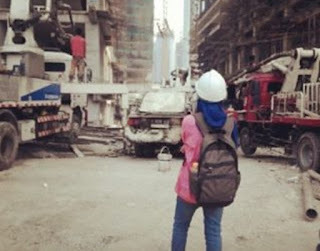 Say it to all of Construction Company, Im sure that most of them knows her. She is the one that inspire me to work hard and always accept peoples aspiration, complaints, because why? Construction and structure is a very crucial matter. If we don’t take it serious from just a small thing, it will impact the strength of the entire structure. Next, lets meet our technical team. When we make a request of a mix design, here we go. They are willing to make the mix design or redesign based on the quality that is requested by us. 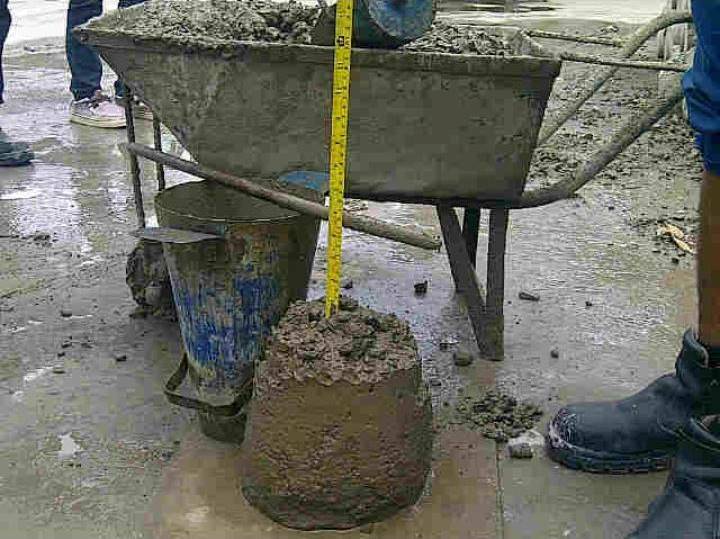 As an example, a quality of a concrete with a type of Fc 25 with a 20 mm of aggregate needs a special mix design. For your information, there could be hundreds or maybe thousands of different mix design based on the specification from the project. With different slumps and qualities will definitely impact the price of the RMC. After all of the mix design of the RMC is done and the project is okay with the Trial Mix result, the next step is to input the mixcode to the IT system. Well this is important cause we don’t want to produce RMC with a wrong quality that may effect the strength of building that is settled. The Central dispatch (CD) here will soon helps us to give scheduled to be delivered from the plant to the Project place. With a high Global Positioning system helps the TM (Truck Mixer) to arrive properly in which the project is done. To find the coordinate is one of my job while visiting the project. This will really help the central dispatch in doing their job. Hop in to the production division. Divided in to some of area and Batching plant. Where Silos and truck mixer can be found. Meet Mr. EW, Mr. JW and the other team. Mr. EW is one of the Area Plant Manager of West. An easy going man, always laugh even in the middle of a mass concrete occasion. He thinks that A laugh from him helps him to keep the life happy while your in the middle of a busy production of a concrete. The one that could be relied when we face the hard condition in delivering the RMC from some plants. “Noted bro” That is what he always reply after our memo. When the last step comes out. We can meet the Accounting team that delivers the docket to be paid by the project. To Mrs. W, Mr. C, etc, thank you for them, the payment could be collected based on the data from the system which means the volume is equal based on the delivery and the actual case. The project people. Site Engineers, logistic, Quality Control staffs etc, the people that is related to this world. I am very thankful to work with them too. Yes, they are in some case mean, but they have a reason to be mad of. Progress of the project and the quality of their structure of course. By the way, they’r external people that influence me to get many the knowledge in construction projects. Finally, I would like to say a bunch of thanks for giving me a chance to work an spend my time in this very hectic company, surely with an amazing team that always reminds me about how to be happy with the life even you’re squeezed by the matter of life. Thank you RMC team.